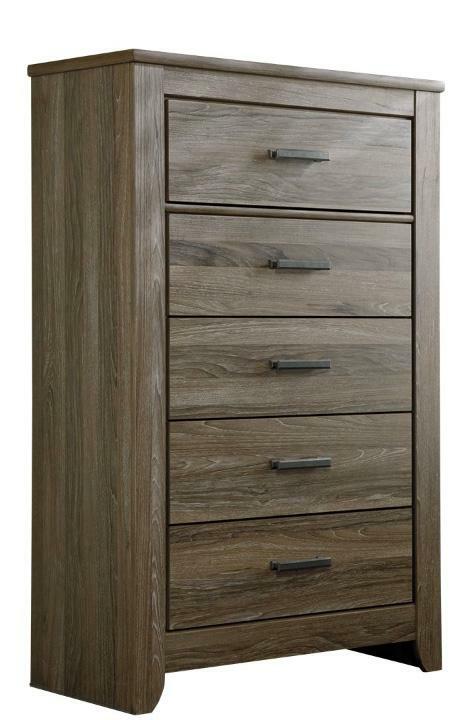 Rustic yet sophisticated in style, this chest of drawers is a fantastic addition to your master bedroom. 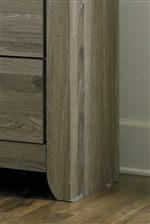 It features a warm gray finish with a white wax effect over replicated oak grain. Stay organized with this bedroom storage piece. The Adalyn Chest at Ruby Gordon Home in the Rochester, Henrietta, Greece, Monroe County, New York area. Product availability may vary. Contact us for the most current availability on this product. 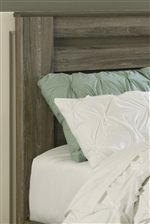 The Adalyn bedroom collection presents a rustic take on vintage casual style. At home in contemporary and casual master bedroom decor styles, the distinctive warm gray finish over replicated oak grain features a white wax effect for added character. Modern styling with generously scaled pilasters complements the clean lines of gently curved feet and large dark pewter color drawer hardware on storage pieces. The Adalyn collection is a great option if you are looking for Casual furniture in the Rochester, Henrietta, Greece, Monroe County, New York area. Browse other items in the Adalyn collection from Ruby Gordon Home in the Rochester, Henrietta, Greece, Monroe County, New York area.